Answers to quizzes in the Menston Business Association ‘Young people’s activity zone’ at the Menston Show (answers to the ‘Identify the leaves’ will be added, with photos of the leaves displayed, soon). 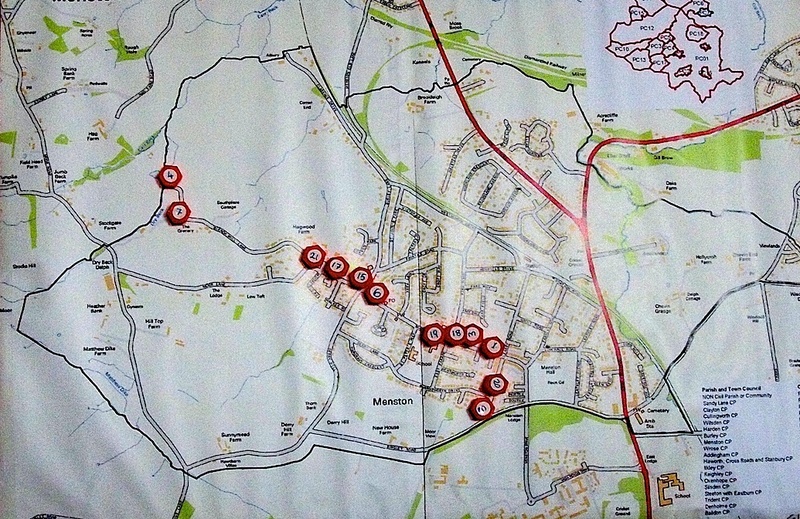 Twelve photographs of places in Menston, lettered A to F; choice of four numbered map pins on a map of Menston (there were 24 pins in different locations in all). Click on a picture to see it much larger. 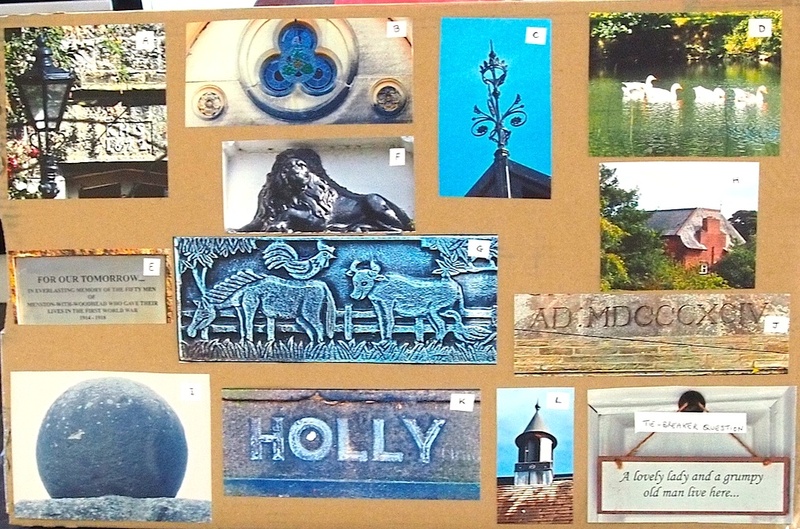 Where in Menston do these photographs show? Twelve questions, lettered A to F, with four possible answers numbered 1 to 4, one of which is correct. A: What is the 5th century Anglo-Saxon kingdom name you’ll find in Menston? B: What does the name of the Anglo-Saxon community ‘Mensigna Lond’ mean? C. Where is Mensa thought to be buried? D: In 1030AD how many ‘ploughlands’ made up the community of ‘Mensingtune’? E: At what date is the first written record of Menston (as ‘Mensingtun’)? F: What was the value of Menston in the Domesday book? G: What did Walter of Baildon pay Walter of Hawksworth for 2 acres of land in Menston ? B: When was the famous Menstonian Charles Fairfax born in Denton? C: When was the first school established in Menston? D: When was the Menston Parish church of St John first consecrated? E: What was the former name of Derry Hill, renamed when Irishmen settled there to work in the linen trade? F: What was Kirklands formerly called?